The ‘Devils Staircase’ can be a treacherous road for the unwary. Here's a few driving tips so you can be prepared and know before you go! 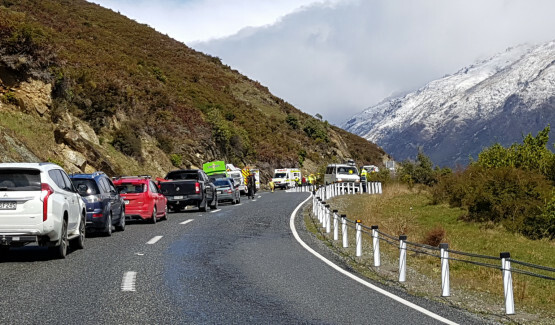 After witnessing two serious accidents resulting in one fatality in less than a week, some timely advice for those travelling between Southland & Queenstown via SH 6 is certainly warranted. The main cause of accidents on this scenic stretch of road is drivers failing to keep left. Tight bends that require a slow and cautious approach become a hazard if you are not adhering to the speed advisory signs. This road is narrow and winding with a sheer cliff face on one side and a mammoth drop into freezing Lake Wakatipu on the other. You must, AT ALL TIMES remain on the left-hand side of the centre line. Complying with speed advisories on corners will give you the best chance of negotiating bends safely. The Devils Staircase is a main arterial route between Southland and Queenstown. It’s used by commercial vehicles, trucks, tractors, buses and millions of campervans annually. Attempting to pass a slower vehicle is totally absurd! Superheroes may be able to see around corners, but us mere mortals can’t. There are several lay-bys where people can pull over to let you pass. Just be patient and go with the flow. Lookouts are well signposted. Remember to indicate if you are intending to pull over or into a lay-by or lookout point. While the speed limit is 100 kph, it’s not a target. Drive within your own ability and to the conditions. We know the views are spectacular, but please wait until there is a safe place to pull over to get your snapshots or take in the sights. One split second of distraction could end in disaster! If you are driving a campervan with water and waste tanks it’s wise to empty them prior to travel. The road is undulating and slumps frequently. Moving fluids can cause distraction, hamper balance and make the handling of your camper heavy and difficult. Due to high altitude, the Devils Staircase is subject to snow, ice and high winds. 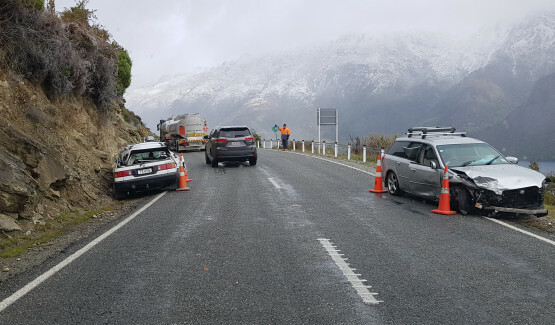 Check the NZTA website for winter road conditions prior to travel. High sided vehicles like campers can be adversely affected by high winds making it hard to steer and handle your vehicle. If you are not a confident driver, there is an alternate route. From Queenstown, head to Cromwell, then Alexandra. Travel on SH 8 until you come to Rae’s Junction then turn right. This road will take you through Tapanui into Gore. Enjoy your journey and travel safely.